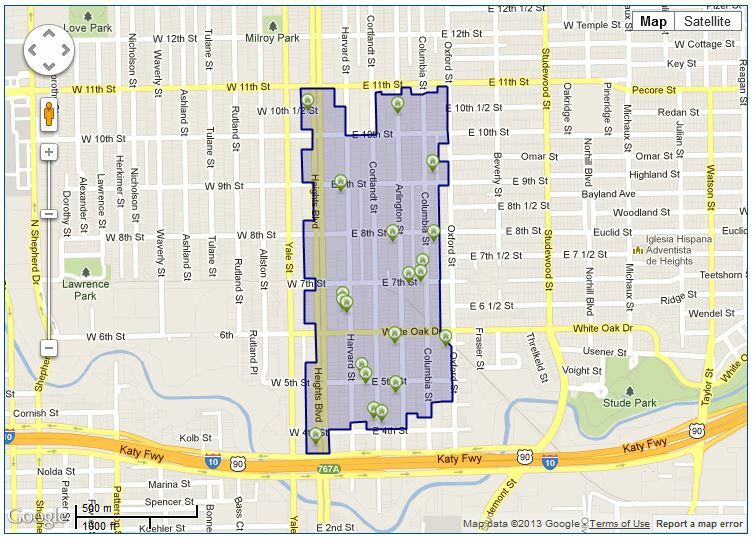 There are 7 Heights Historic Districts out of the 20 total for Houston. 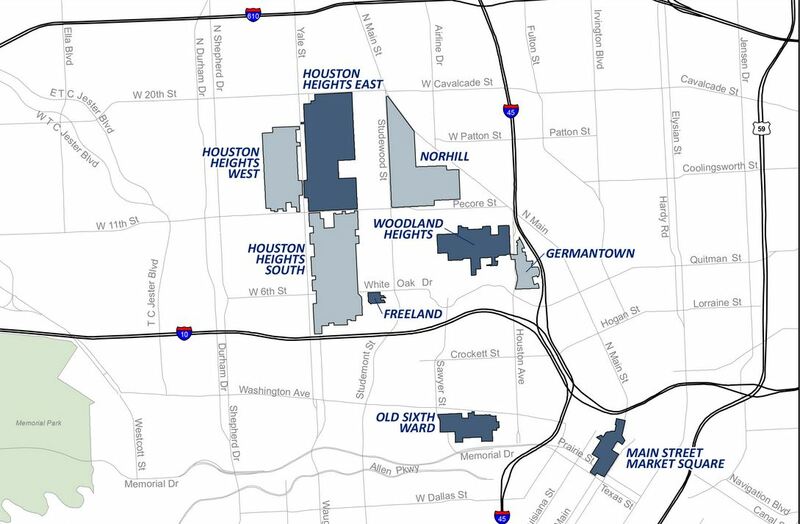 There are 3 that are labeled as “Heights Historic Districts” and the other 4 are “Houston Heights Proper.” Below are 3 Heights Historic Districts; Norhill, Woodland Heights and Germantown. Norhill was developed in the 1920’s by Will Hogg as a master planned community for the working class. The homes are a distinctive mix of brick cottages and wood bungalows. Many of these homes were pre-cut “kit” homes available from catalogs, to be constructed by local craftsmen. The park-like esplanade of Norhill Blvd. is another feature of this neighborhood. Norhill Historic District is the Heights first historic district designation (in 2000). 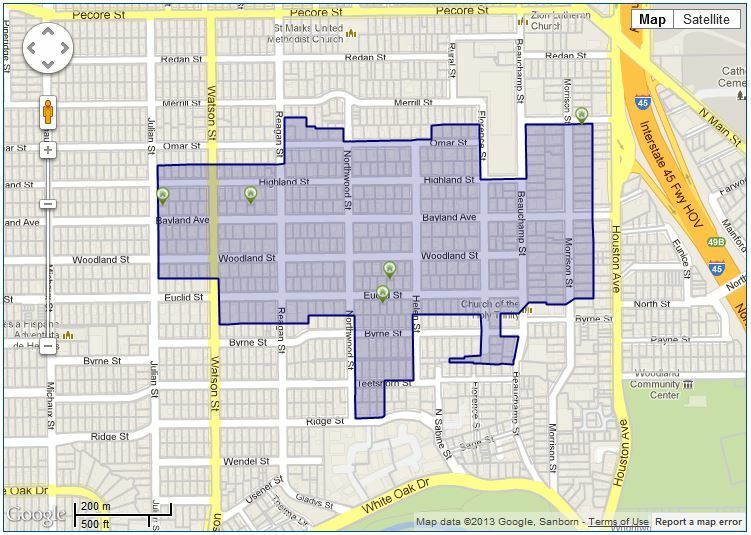 Woodland Heights Historic District is just below Norhill. Both are East of Studewood St. Woodland Heights is just over a century old. We had our 100th birthday in 2007. This area was recently designated as historic. The uneven boundary lines show that not everybody agreed with the decision. 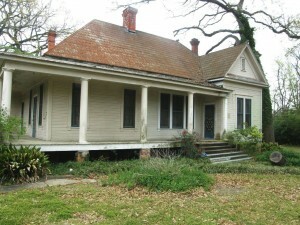 Grota Homestead is a part of the original Germantown, which was later bisected by I-45. Germantown is just West of Woodland Heights. It is a triangular area between I-45 and Houston Ave. with about 80 homes. It was originally platted as Germantown in the 1830’s. 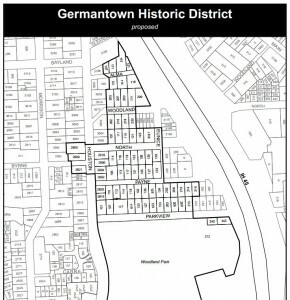 By designating it as Germantown Historic District, the homeowners don’t have to worry about I-45 being widened (being talked about for years) and taking in more of the neighborhood. These homes are mostly bungalows with a few larger homes facing the park. 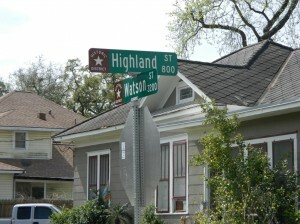 The remaining historic districts are located in Houston Heights proper. 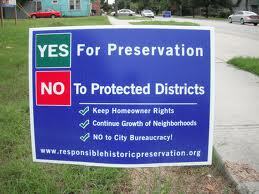 They are: Houston Heights West, Houston Heights South, Houston Heights East, and Freeland historic district. 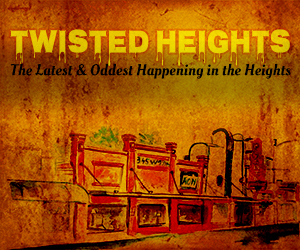 The Heights is an old part of Houston, one of the oldest planned communities in Texas. Houston Heights (named for it’s 23 foot elevation over the swampy downtown area) was formed in early 1890’s, and connected to downtown by a trolley line. 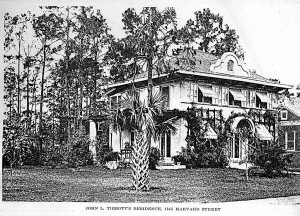 It became incorporated as the city of Houston Heights, but was still annexed by Houston in 1918. The Heights went into decline for years, but the last 15+ years has seen a resurgence in popularity. 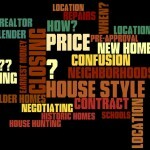 Lately it has turned into a booming area of new restaurants, increasing home values and lots of high-end new homes. 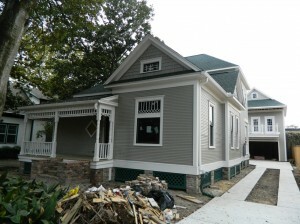 Keeping the character of the Heights is the aim of the these historic districts. 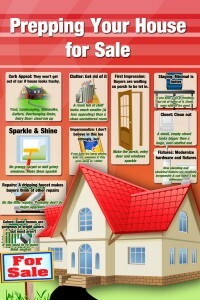 Demo is almost impossible in these areas, and exterior remodeling plans must be approved. So, if you buy in these districts you can feel pretty confident that a monstrosity won’t spring up next to you, but if you plan on remodeling/expanding, find out the rules first. 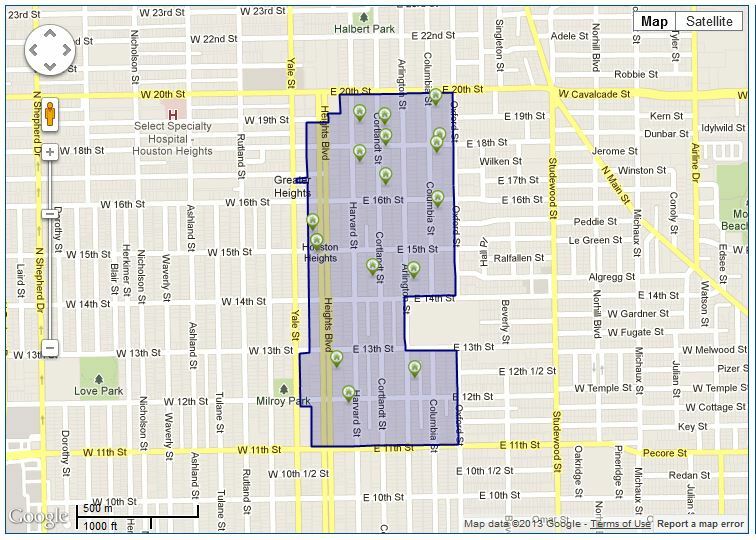 Three of these 4 historic districts are in Houston Heights Historic Districts, and one (Freeland) is just below it. These are all West of Studewood. 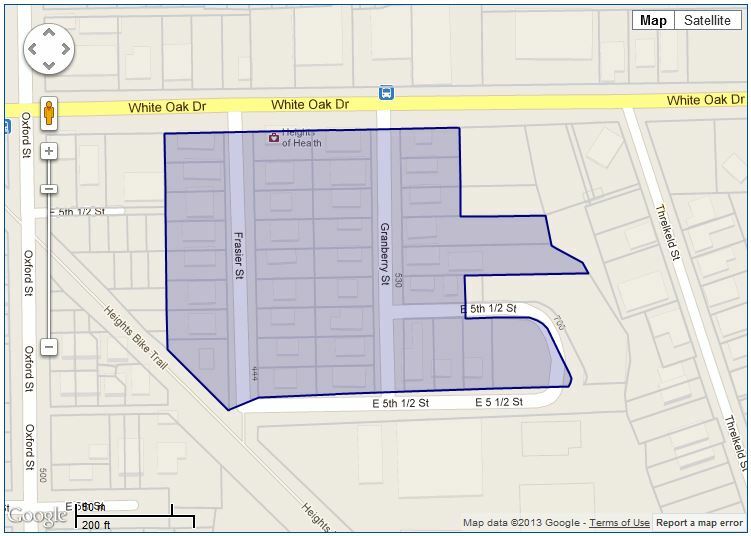 Houston Heights East Historic District was approved in 2008. It covers Heights Blvd to Oxford St; from 11th St to 20th. 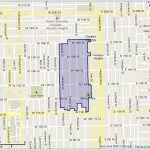 Houston Heights West Historic District backs up to the East district (West of Yale), but only goes up to 16th St. 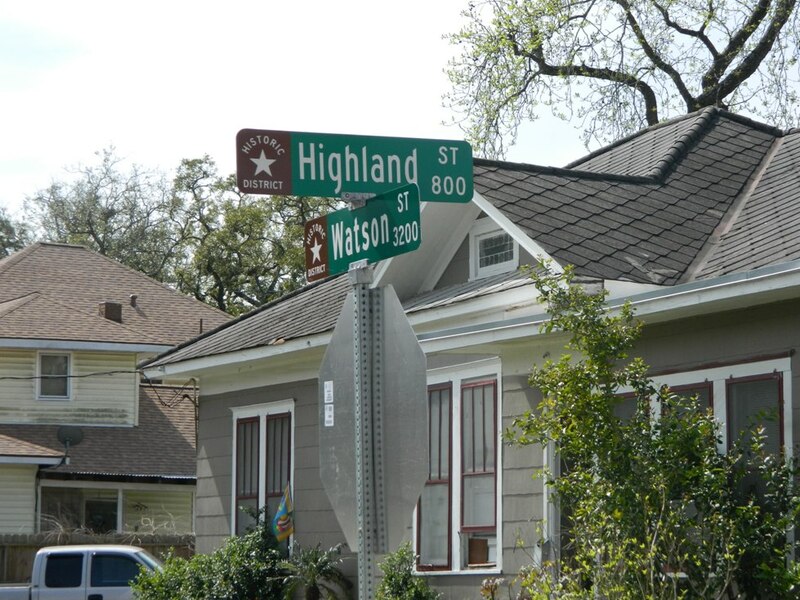 It goes West to Ashland St.
Houston Heights Historic District South is South of 11th, down almost to I-10. 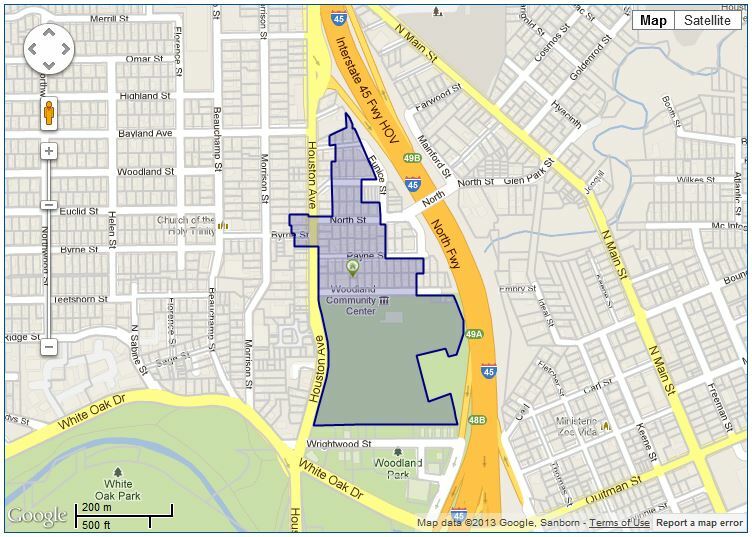 These 3 districts combined make up most of Houston Heights. buyers to Freeland and could benefit Freeland residents as well. 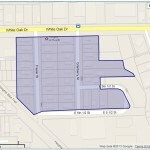 This may be the smallest district, but it was one of the most vociferous when new construction was attempted. 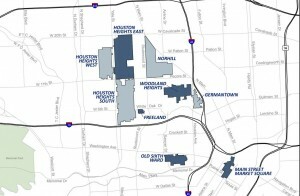 Houston currently has 20 historic districts, with others being proposed. The area of town with the largest number is the Heights. 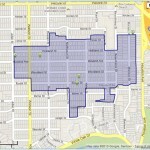 A map of the Heights Historic Districts (plus a couple of other) is shown below. People look for homes with specific characteristics: good school districts; walking distance to schools; proximity to nightlife; distance to work, safety, etc. People also focus on age and character of the house and neighborhood. 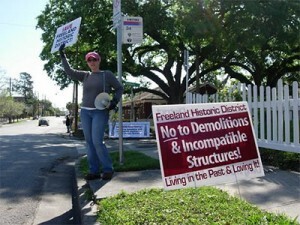 To some of these people having a historic home, or a home in a historic area is important to them; they want history. These are the people who look for homes in historic districts. First Ward Battle – I wrote this post about the battle between developers and owners in the first ward. 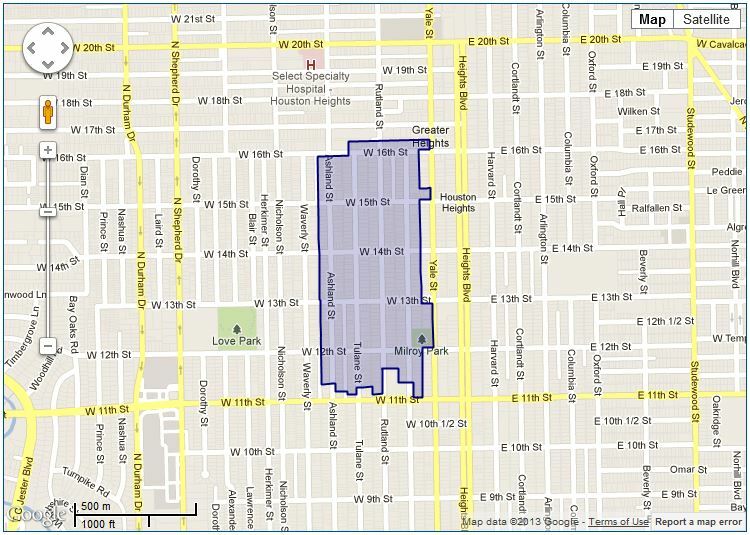 The first ward is now a historic district but they were fighting over whether to make it a district. Find Your Home’s History – How to research historical homes and find out your home’s history. 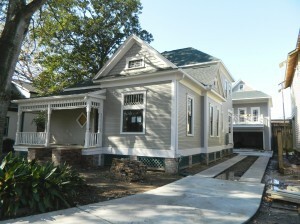 Independence Heights – Read about the latest historic district created in Houston. 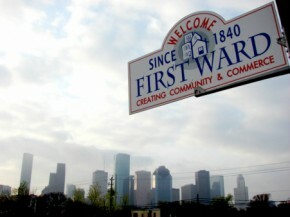 It is also the first historic district north of the 610 loop. 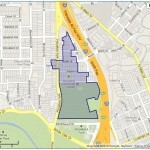 The city of Houston has individual Historic District Maps. These are pretty boring pdf maps that show boundaries. 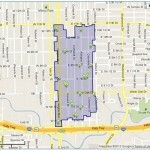 HAR.com though has Interactive Houston Historic District Maps that are much better. It shows an overall map with all of the historic districts, then allows you to click on each one for details, and even do a search for homes for sale in historic districts. HAR.com was the first MLS in the country to provide such a search for the public. It was done in collaboration with the city. 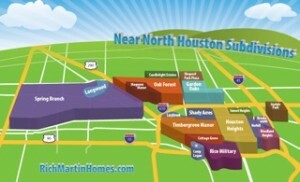 A couple of other sites worth visiting are Houston Historic Preservation and What’s Planned for Your Neighborhood. One more site that is playing a big role in shaping our historic districts is the Houston Archaeological and Historical Commission (HAHC) is a 13 member review board that reviews requests for landmarks, historic district designations, landmarks and most critical, Certificates of Appropriateness. 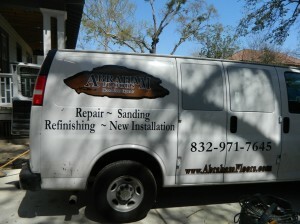 This is what builders, owners need when attempting to do remodeling of homes in historic districts. 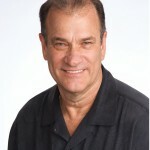 These are the people who decide what you can or cannot do to the exterior of your home. 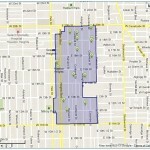 I have a couple of posts on these Historic Districts below. 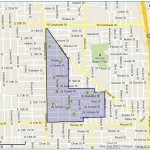 I live in Woodland Heights Historic District. 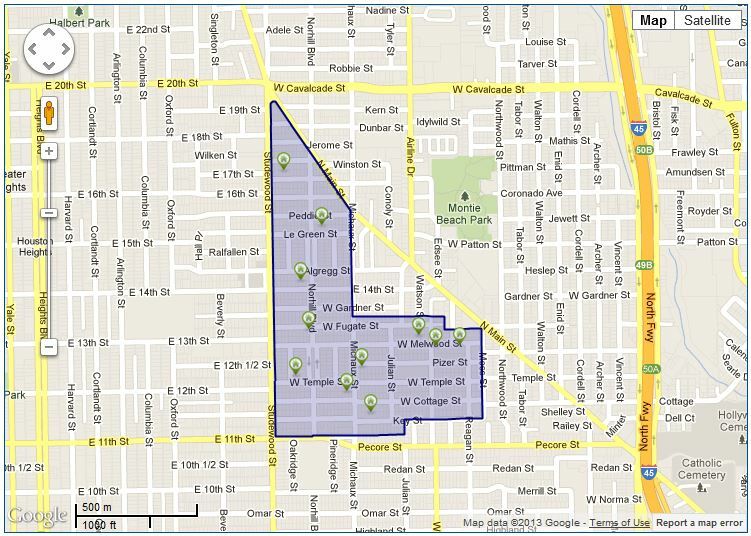 Contact me if you want to buy or sell in these historic neighborhoods. If you want to search for homes in other historic districts, go to this HAR link or you can give me a call at 713-868-9008 and I can do the work for you!